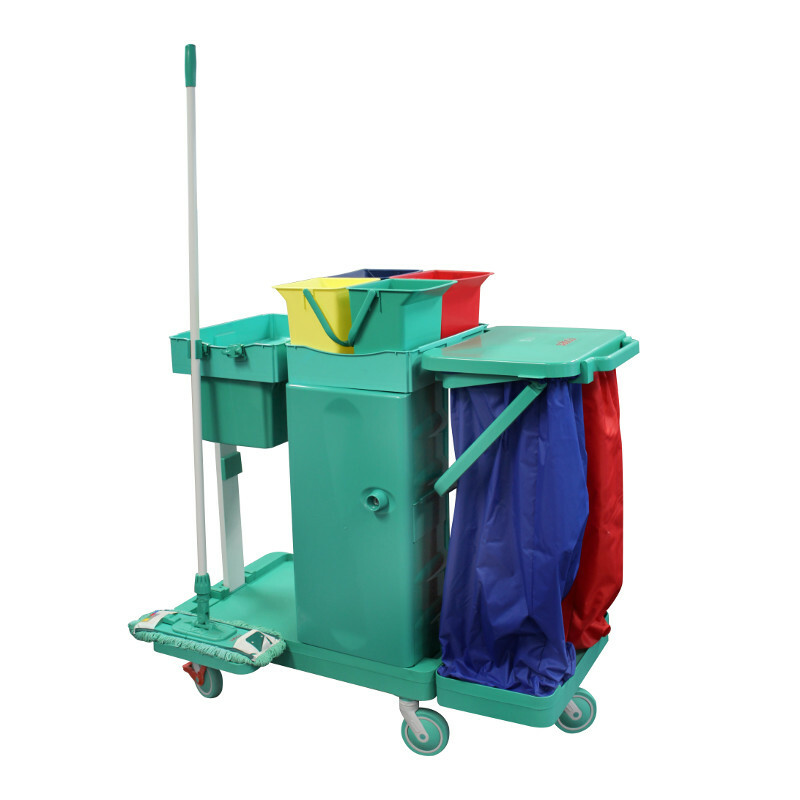 Sabco Deluxe Antibacterial Cart is made entirely from polypropylene, ABS, and glass fibre, making it non-toxic and entirely recyclable. 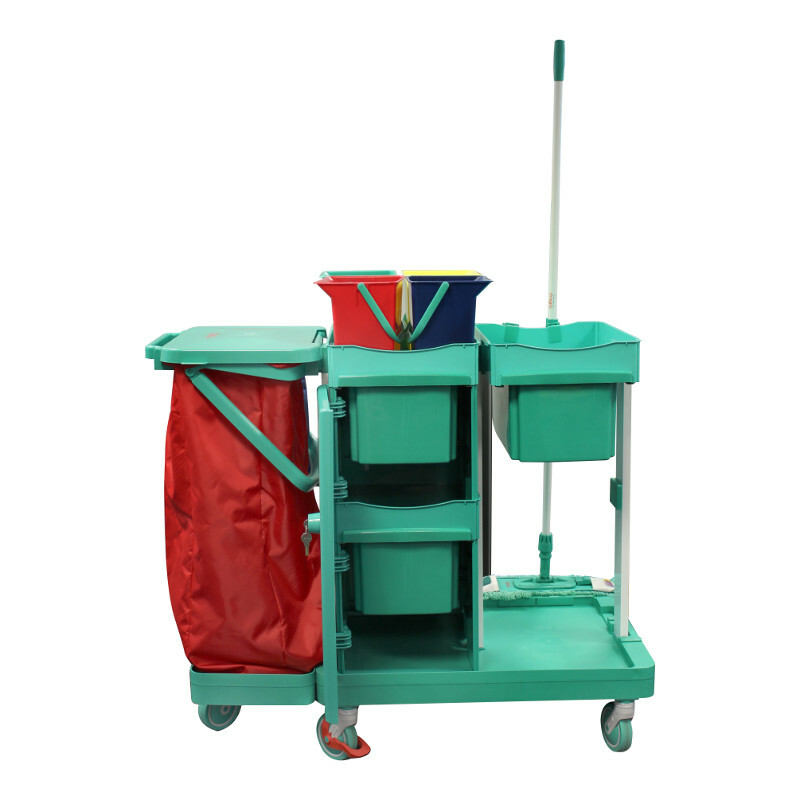 Sabco’s Deluxe Antibacterial Cart is made using the most highly developed anti-bacterial systems, put together to help reduce the levels of harmful bacteria potentially found in the trolley. 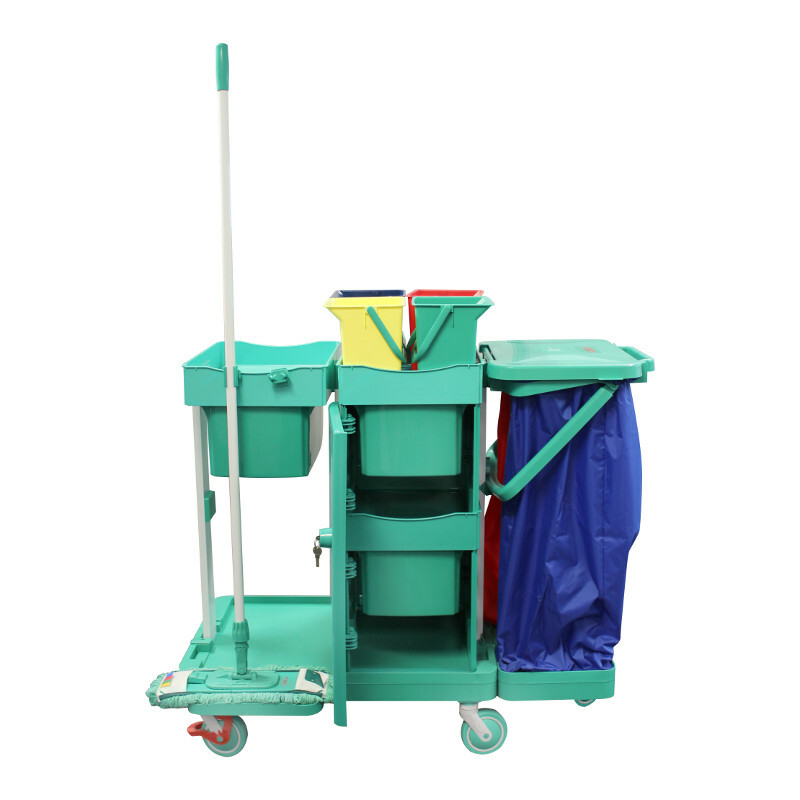 Mainly intended for healthcare environments, the Antibacterial treatment solutions are effective for 5 years. 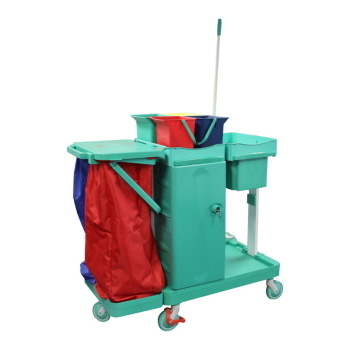 After this period of time, the cart may be used in other cleaning spaces where a sterile environment isn’t as critical. pre-impregnation of colour coded cloths. 3. 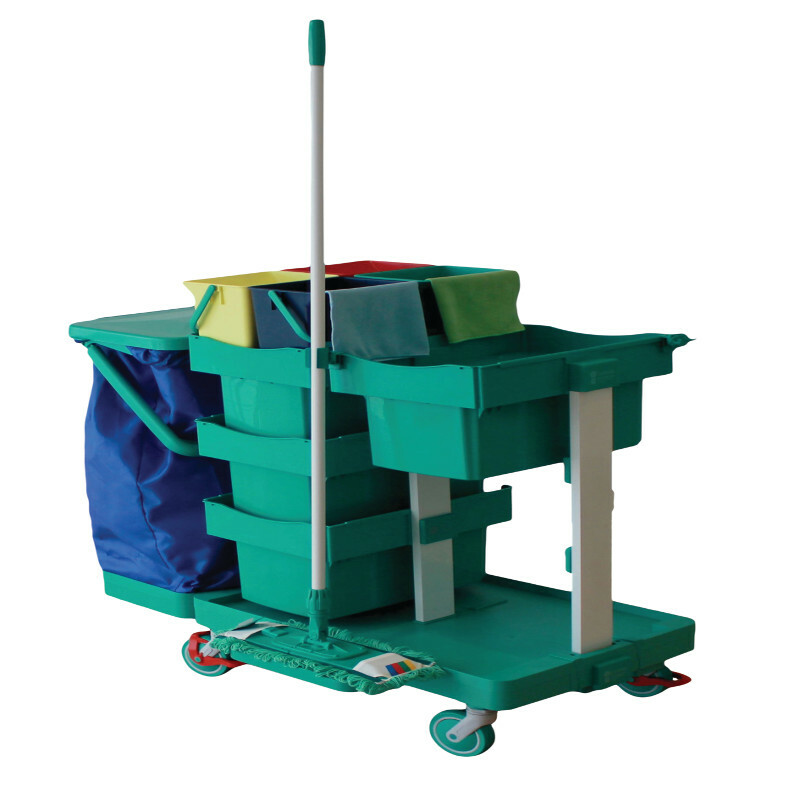 125mm fibre glass shock resistant castors for excellent stability and manoeuvrability. Two wheels are also equipped with breaks. antibacterial handle for improved operator grip. laundering. Blue bag for waste collection.